eFax launched its Internet fax service with the goal of using the convenience of email and the speed of the Internet to make it easier for people to send and receive faxes. eFax has grown to become one of the world's largest providers of Internet messaging services, offering fax by email to more than 11 million subscribers. 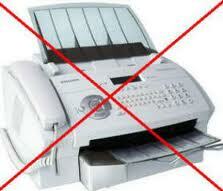 RapidFAX combines the utility of fax with the ease of email to meet the needs of the small office and home office. RapidFAX was an early pioneer of online fax services and a company that now serves tens of thousands of customers online faxing needs every day.